Battle for second heats up following Winton's penultimate round. 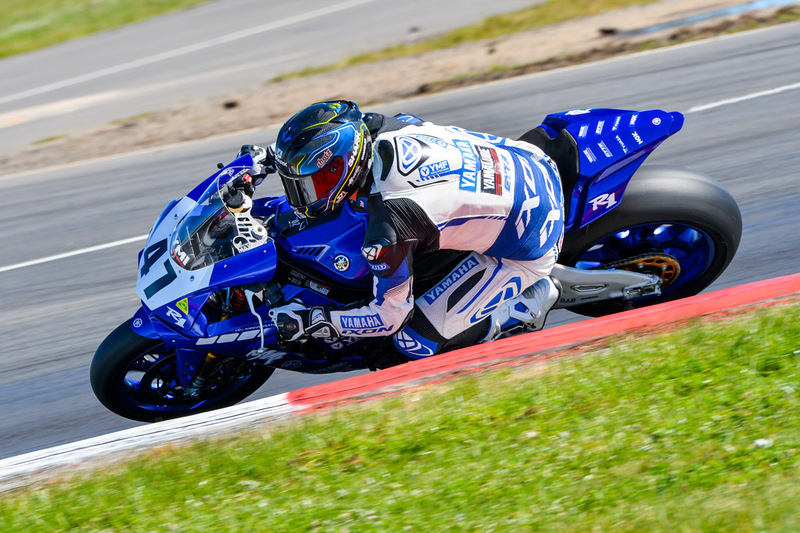 After Troy Herfoss (Penrite Honda Racing) wrapped up the Yamaha Motor Finance Australian Superbike Championship (ASBK) at the weekend’s sixth round in Winton, Victoria, Wayne Maxwell has now declared his intentions for the final stop of the series are to secure second in the standings. Maxwell’s hopes of the keeping the title fight alive through to the finale were crushed in the opening race at Winton when he crashed out of a stoppage-filled outing, ultimately allowing race winner Herfoss to extensively increase lead while granting Troy Bayliss (DesmoSport Ducati) to close in on him. Rebounding for victory in race two, the Yamaha Racing Team ace bridged a seven-point gap between himself and Bayliss in the rankings, which only amplifies the battle for second when the ASBK visits Phillip Island next month. Former champion Josh Waters (Team Suzuki Ecstar) can’t be ruled out of the runner-up spot either as he patiently sits fourth in the standings, 11.5 points behind Maxwell.